Vera was born in Bitola, Macedonia. Her family emigrated to Ohio’s heartland, where she attended The Ohio State University and received her degree in Mechanical and Nuclear Engineering. She worked in the pharmaceutical industry (Abbott Laboratories) for 13 years. Vera joined Limited Brands as a member of the Executive Committee and head of Research & Development, Quality Assurance and Regulatory Affairs for the Bath & Body Works division. Vera is the recipient of two U.S. and international patents. She resides in Columbus Ohio with her husband Frank and they have two children, Jacquilyn and Jeffrey. Michael serves as Managing Director and Market Manager with CIBC Bank USA in Chicago. Michael works closely with business principals, leading a team built to provide tailored banking solutions to strategic clients. He is attuned to client’s personal and professional interests and helps business owners, entrepreneurs, senior executives, and multigenerational families navigate significant crossroads in their financial lives, providing them with the resources and counsel required to make sound decisions. 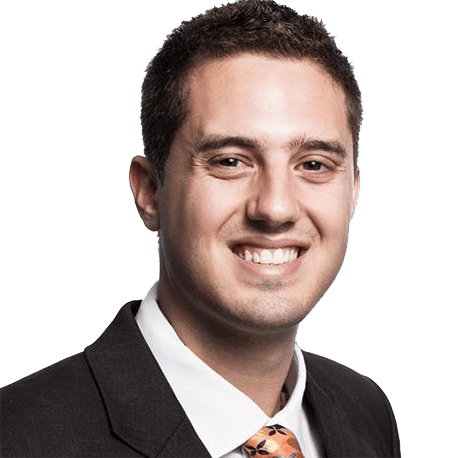 Michael began his career practicing tax law and prior to joining CIBC, led a Private Wealth Management team at U.S. Trust, Bank of America in Chicago. Michael earned a B.A. with dual majors in Political Science and Communication from the University of Illinois Urbana-Champaign as well as a Juris Doctor with Honors from the Northern Illinois University College of Law. Mike Zafirovski is founder/president of The Zaf Group, a management consulting and investment firm. The Blackstone Group is the firm’s principal client where Mike is an executive advisor and also serves on the board of directors of three Blackstone companies: non-executive chairman of DJO Global Inc and PGI Inc, and independent director for Apria Healthcare Services. Since 2004, he has also served on the board of directors of Boeing, and since 2012, on the board of Stericycle. Previously, in a 34-year corporate career, he served 21 years as President/CEO/COO at Nortel, Motorola, and five GE businesses in the high tech, industrial, consumer, and financial services industries. Demonstrated ability to develop strategy, simplify complexity, attract and develop strong teams, and drive execution (in the 21 years of P&L responsibility, revenue growth exceeded 8% per year and EBITDA gains averaged 350 BPs per year). Among his philanthropic activities, he is vice chairman and leads the strategy committee for AUSL, the organization that helps turnaround the most challenged public schools in Chicago. He is a co-founder and director of Macedonia 2025, an organization dedicated to enhancing the country’s economic and democracy developments. He is also a vice chairman of UI Labs, a research and commercialization collaborative focusing on digital manufacturing, design innovation, and “smart city” solutions. He is a visiting lecturer at the Northwestern Kellogg School of Management and Duke University’s Fuqua School of Business. He and his wife, Robin, are past national chairs for Duke University’s Parents’ Committee. Mike, Robin and their three sons Matt, Kirk and Todd are officers of the Zafirovski Family Foundation, formed in 2005 focusing on education and health issues. From 2006 to 2010, Mr. Zafirovski was a presidential appointee to the National Security Telecommunications Advisory Committee (NSTAC). NSTAC provides analytics and recommendations to the President of the United States on a wide range of policy and technical issues related to telecommunications, information systems, information assurance, infrastructure protection, and other national security and emergency preparedness concerns. Zafirovski holds a B.A. in mathematics from Edinboro University in Pennsylvania where he captained the intercollegiate soccer and swimming teams. In 2002, Edinboro University awarded him an honorary doctorate degree in public service. A native of Macedonia, he received the Ellis Island Medal of Honor in 2004 and the Medal of Honor from the President of Macedonia in 2013. He also received the Distinguished Leadership Award from the NY Hall of Science in 2008. John I. Bitove has a distinguished record of accomplishment in the corporate and sports endeavours as well as community service in Canada. He is the sole shareholder of Obelysk, which has major investments in the wireless, satellite radio, real estate and other businesses. He is one of the founders of alternative asset investment firm, Oxford Park Group. He is a major shareholder and Director of SiriusXM Canada, Canada’s fastest growing media subscription business with 2.6 million subscribers. Hewas recently the principal shareholder and CEO of KEYreit, Canada’s premier “small-box” retail property owner with over 220 properties in eight provinces across Canada. KEYreit was sold on May 17, 2013 for $325 million.He is the Founder of Mobilicity, one of Canada’s new entrant wireless operators, recently sold to Rogers. He is the President and CEO of Feenix Wireless which is one of the licence winners in the recent 700 MHz spectrum auction. A passionate Canadian, Mr. Bitove was the volunteer President and Chief Executive Officer of Toronto’s Bid for the 2008 Olympic Games (awarded to Beijing, China). He was the head of the organizing committees that brought the successful World Indoor Athletics (Track & Field) Championships and World Championships of Basketball to Canada in 1993 and 1994 respectively. In 1993, he founded the Toronto Raptors Basketball Club. He led the NBA franchise-bid process, launched the team and created the Air Canada Centre, Toronto’s major sports and entertainment venue. A strong believer of giving back to the community, Mr. Bitove founded S’Cool Life Fund, to support public elementary schools across Canada. Since the launch in 2005, S’Cool Life Fund has raised and donated over $2 million helping to make school life more enjoyable for thousands of public elementary school kids. 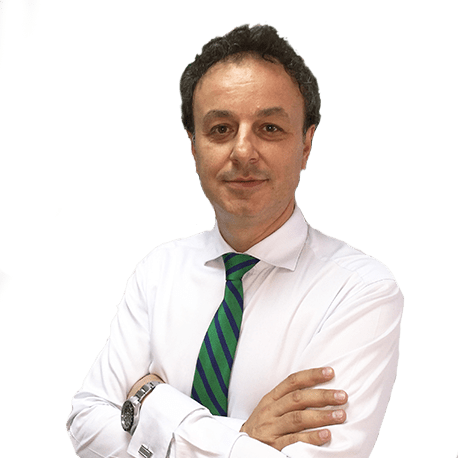 Mitre Kutanovski is a Co-founder and a former Chairman of Macedonia 2025. Under the leadership of Mr. Kutanovski Macedonia 2025 opened a second office, started an annual golf outing and launched a series of business and professional networking opportunities for the Diaspora. Prior to his involvement with Macedonia 2025, Mr. Kutanovski was the President and CEO of the Mitre Group Inc. a company that consists of: Crown Financial Advisors; Mitre Group LLC. Broker Dealer; Classic and Crown Mortgage Solutions; Crown Tax and Business Services; Crown Insurance Group; Crown Travel Agency; and the weekly radio program Voice of Macedonia. 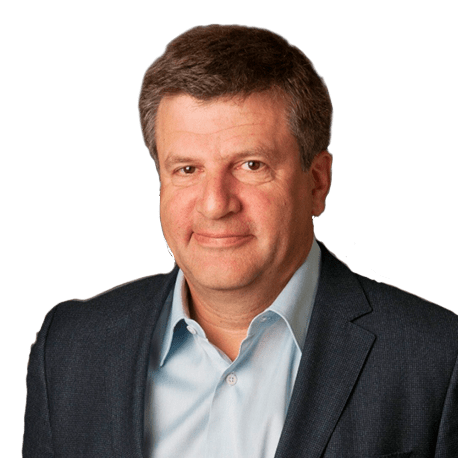 Robert Arsov is a Senior Managing Director at the investment banking and capital markets division of Guggenheim Partners. 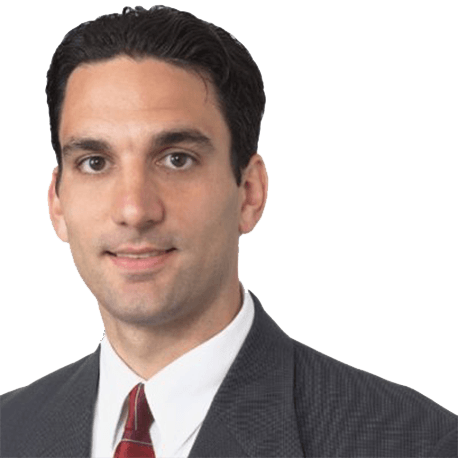 Mr. Arsov focuses on advising companies in the Fintech (insurance services and software) and Biotech sectors and has worked with a wide variety of publicly traded and privately held companies on complex U.S. and cross-border assignments. 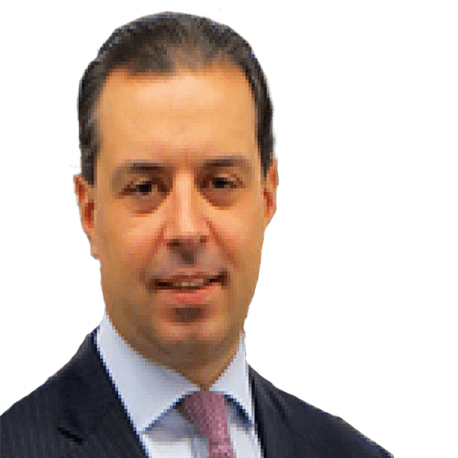 Mr. Arsov was previously a member of the Mergers & Acquisitions Group at Credit Suisse and its predecessor company Donaldson, Lufkin and Jenrette. Mr. Arsov received his BS from Haas School of Business at U.C. Berkeley, and currently resides in Greenwich, Connecticut, with his wife and two daughters. Chris Pavlovski is a serial and global entrepreneur. On the heels of selling multiple businesses, and founding numerous successful companies, Chris became a finalist for the Ernst & Young Entrepreneur of the Year in 2010. Shortly there after, one of the businesses Chris founded, is a global IT business with offices in Europe & North America. The business was ranked as the 2nd best employer in Macedonia and has been the recipient of numerous awards. Currently, Chris is the CEO and Founder of Rumble.com. Rumble is a video platform that has distribution partnerships with over ten established media companies, including but not limited to Microsoft, Yahoo, and Bell. Chris also sits on numerous boards. He serves on the board of Every Day Child; a non-profit charity organization. He serves on the advisory board of Close.com; a social network for close friends and family, and also sits Macedonia 2025’s Senior Board. Peter Simeon is an experienced corporate commercial and securities lawyer. As a partner in Gowlings’ Toronto office, Peter focuses his practice on corporate finance, mergers and acquisitions, and structured products. In addition to his work in private practice, Peter is also an experienced in-house lawyer. 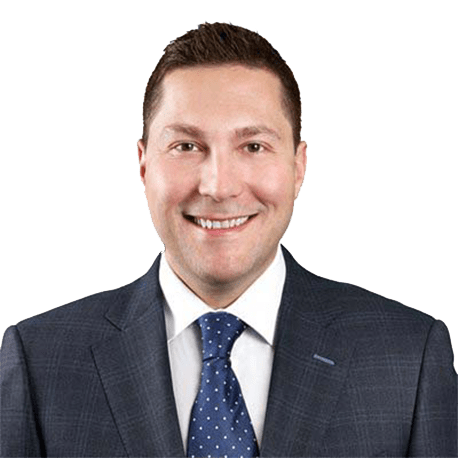 He spent several years as corporate counsel at a multinational technology company, and completed a secondment at the Ontario Securities Commission in its Market Regulation Group. Jim Nikopoulos is Chief Operating Officer for ECN Capital. He was previously Senior Vice President, General Counsel and Corporate Secretary with Element Financial Corporation prior to the company’s separation into Element Fleet Management Corp. and ECN Capital Corp.
Before joining Element, Mr. Nikopoulos was Vice President, Corporate Development and General Counsel at TeraGo Inc., a TSX-listed company offering broadband and data communication services to business customers. 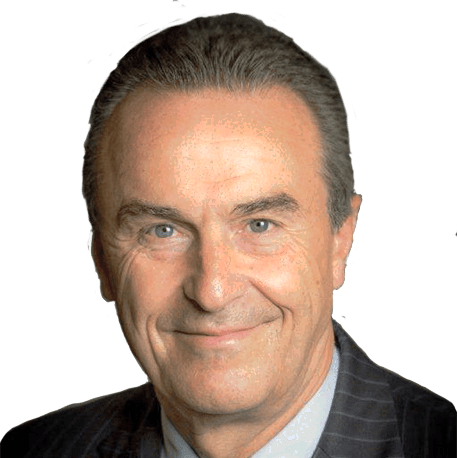 He was previously a Partner at Davies Ward Phillips and Vineberg LLP, where he practiced in the areas of mergers and acquisitions, corporate finance and securities, corporate governance, and general corporate and commercial law. Mr. Nikopoulos is Board Chairman of TeraGo Inc., and sits on the Board of numerous charitable organizations. Mr. Nikopoulos earned his Honours Bachelor of Arts degree (Economics and Political Science) from the University of Toronto and Law degree (JD) from Osgoode Hall Law School. 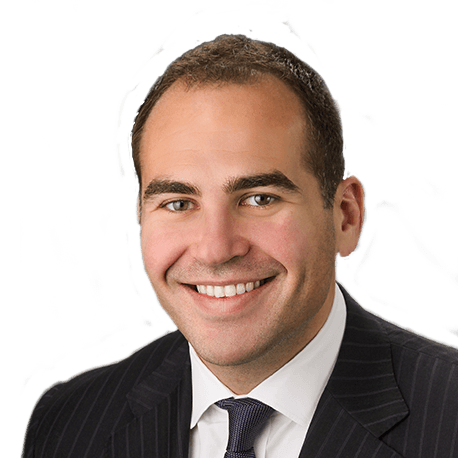 Mr. Nikopoulos was named one of Canada’s Top 40 Lawyers under 40 by Lexpert in 2014. 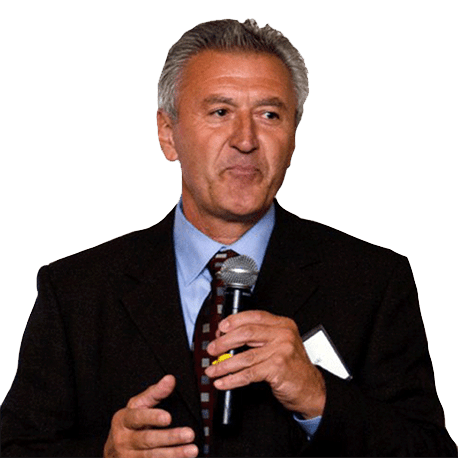 Robert Stevanovski is Co-Founder and Chairman of ACN Inc., the world’s largest direct selling telecommunications service provider. After entering the network marketing arena in the late 1980s, Robert held senior positions with two highly successful marketing companies. 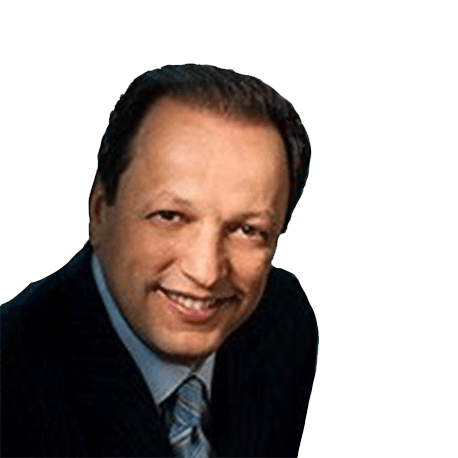 These experiences positioned him as one of the driving forces behind the formulation of ACN. Robert has worked hard from the beginning, investing his own time and money to make a name for ACN in this highly competitive field. His leadership training began at a young age as he witnessed his workaholic father run their family’s restaurant business. He learned how to work with employees, vendors and customers – skills he continues to use to this day. He also learned that to be a great leader you must understand the position of those you wish to lead. With over 20 years experience in the network marketing arena, Robert Stevanovski has become a vital player in managing ACN’s day-to-day business operations, while also playing an integral role in ACN’s product expansion and European operations. In fact, Robert personally spearheaded the building of ACN’s own Digital Phone Service network and pushed for the latest technology in Videophones. He knows that the days of talking to someone on the phone and not seeing them are coming to an end. In the future, everyone will have a video phone. He’s placed ACN there now. In addition to his daily operational duties, Robert is a distinguished ACN Board Member. His success has not slowed him down but rather encouraged Robert to continually reevaluate himself and his company. He constantly strives to be better and encourages others to work hard in relentless progression toward greater success. -Managed several businesses throughout the 1980s, directly influencing growth and expansion. -Held senior positions with two highly successful direct selling companies. -One of the driving forces behind the formulation of ACN and a vital player in managing the company’s day-to-day business operations. 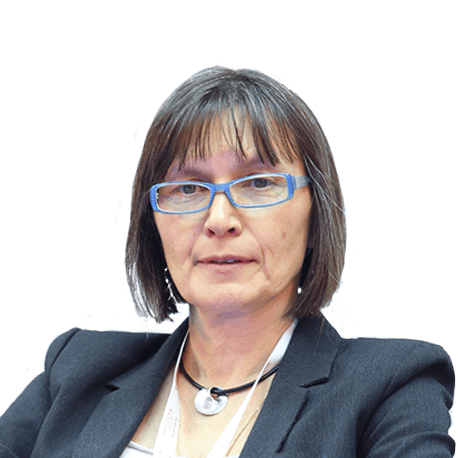 Nevenka Dimitrova, Ph.D., is a CTO of Genome Informatics at Philips. She has been at Philips since 1995. Nevenka Dimitrova was born in Negotino, Republic of Macedonia. She is the Chief Technology Officer of Genome Informatics at Philips. With her technology passion and intrapreneurial mind, she has been in diverse areas of signal processing, cognition, genomics, healthcare informatics. She believes that innovation happens at the confluence of diverse disciplines and cultures, and has led collaborations with with research institutes and companies. Her bibliography contains over 130 scientific articles and 50 issued patents. Recently she has been given the Gilles Holst award – the highest science and technology peer recognition prize at Philips. Ana Arsov is a Managing Director in Moody’s U.S. Financial Institutions team. Ana has responsibility for the North American global investment banks, securities firms and exchanges, as well as Canadian banks. Ana has extensive experience in analyzing financial institutions and managing credit professionals. Prior to joining Moody’s, Ana’s most recent role was at UBS, where she spent the last several years as Executive Director in Credit Risk, responsible for financial institutions. 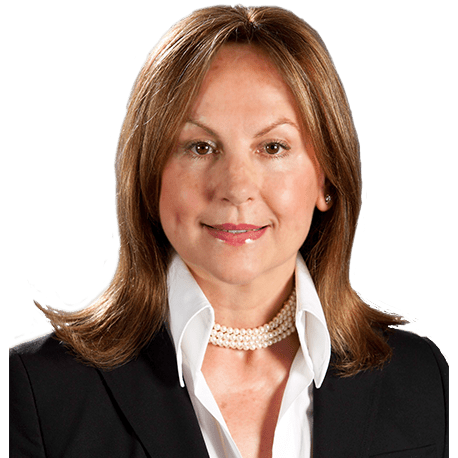 Prior to UBS, she was Head of Global Portfolio Management-Credit Risk Management at Morgan Stanley, focusing on comprehensive coverage, identification and analysis of risks across the firm’s trading and lending businesses. Ana began her career in Credit Risk Management at Lehman Brothers in various credit risk roles, ultimately heading up the North American Financial Institutions and Structured Finance team. 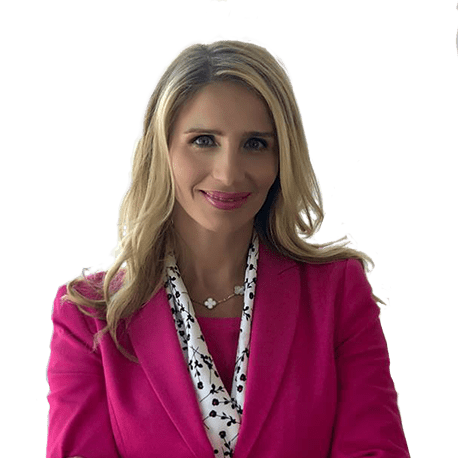 Ana holds a master’s degree in Management (with a specialization in Financial Services and Banking) from Boston University, and a bachelor’s degree in Business from Pace University, New York. Ana was born in Skopje, Macedonia and resides in Greenwich Connecticut with her husband and two young daughters. Dr. Jana Marin graduated from the Faculty of Dentistry at the “St. Cyril and Methodius” University in Skopje, Macedonia. She attained a Master’s degree in International Healthcare Management, Economics and Policy at Bocconi University in Milan, Italy. Dr. Marin obtained her first professional experience in healthcare management in the Quality Department of the German unit of Capio Group , Capio Deutsche Klinik GmbH. She developed an important, formative part of her professional expertise while working at the Ministry of Health of the Republic of Macedonia. During her appointment as Advisor to the Minister of Health, Dr. Marin was personally involved in a broad spectrum of issues of concern to National Healthcare Policies and Economic Planning of Public Health in Macedonia. Her educational background, coupled with the expertise she obtained in the last decade of independent, intensive, daily involvement in decision making processes, paved the way to Dr. Marin being holding key management positions. Due to her proven managerial capability and particularly her innovative approach to problem solving, she had been entrusted with management of key projects. Recently, she led the team, which successfully completed the prominently complex and important Joint Commission International Accreditation process and thus, brought Acibadem Sistina Hospital the title of First JCI Accredited Hospital in Macedonia. Alek Icev is a Macedonian-American computer scientist and high tech executive based in Seattle, WA. Alek’s research background is in machine learning, data mining and bioinformatics. Alek’s industry experience spans designing core algorithms for life sciences startups, helping scale large enterprise software solutions and leading several engineering teams focused on making Google’s ads systems and platforms smarter. In his free time he is trying to find a sweet spot in his passion for techno-progressivism, stoicism and singularity while being below average soccer player and aspiring yogi. Alek and his wife Kati are blessed of being parents to two kids who share their excitement about skiing and the great northwest pacific outdoors. Kati Iceva is computer science engineer and leader with 15 years of experience building and shipping Microsoft products. As Principal Software Engineering Manager in Microsoft’s Big Data organization she currently helps shape and develop Azure Stream Analytics, a cutting-edge real-time highly scalable analytics cloud service. Her previous contributions span data technologies including multiple versions of the .NET Entity Framework and Power Query. With her work, she hopes to contribute to advancing quality of human lives and health. Seeded in her experience of working on three continents, Kati has strong passion for enabling and supporting diverse and inclusive teams and working environments. Hoping to see more women thrive in technology industries, she takes advantage of every opportunity to encourage girls to explore computer science. Kati holds a bachelor’s degree in Electrical Engineering and Computer Science at Ss. Cyril and Methodius University of Skopje and Master of Science degree in Computer Science from Worcester Polytechnic Institute. She resides in Seattle, Washington with her husband Alek and their two children. Outside of work, you can find her practicing yoga, skiing, running, hiking or in spite of not having any noteworthy athletic achievements, as aspiring practitioner of growth mindset, attempting to pick up new sports, the latest being figure skating. Mihail Mateski is General Manager and Partner of Greentech, Serbia and Macedonia. Greentech is a leading recycler of PET packaging and is a member of Green Group which is the largest PET bottle recycler in Eastern Europe. 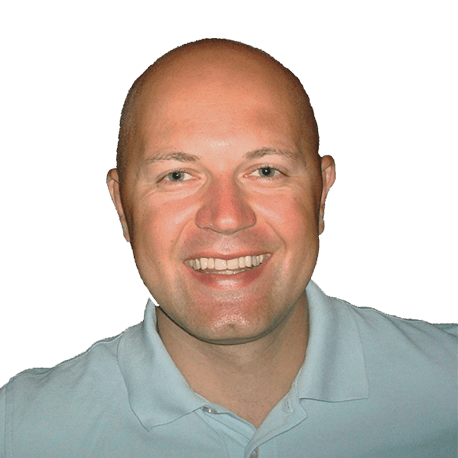 Mr Mateski has extensive experience in packaging waste management, plastic processing, business development, sales, international trading, production management and team leadership. Mr Mateski has served as General Manager of Greentech since 2002. From 2000 to 2002, he served as an international trade consultant for the Macedonian Business Resource Centre. From 1996 to 2000, he served in sales management for Setkom and Setkom Industries. Mr Mateski is the founder of the Serbian Association of Packaging Waste Recyclers, is an active member of the Serbian Solid Waste Association (SESWA), a founder of the Macedonian Solid Waste Association (MASWA), and is former President of the Recycling Council within the Serbian Chamber of Commerce. Mr Mateski has a Master of Science in Mechanical Engineering from St. Kiril and Methodius Skopje University.